Surely, there’s a Shakespearean quote about not waiting 20 years to do something,” a friend said after learning that I finally made it to The Shakespeare Tavern Playhouse in Midtown. I’ve wanted to go since moving to Atlanta in 1997: The assignment to write this review was the push I needed. I’ve now been twice. There may be such a quote, but I don’t know the perfect one off the top of my head—maybe, “our doubts are traitors and make us lose the good we oft might win” (Measure for Measure) or “men at some time are masters of their fates” (Julius Caesar)? An English major in college and former high school English teacher, I sincerely enjoy Shakespeare, especially the comedies. But planning ahead to get to a live theatre performance doesn’t align with my natural inclinations toward last-minute spontaneity. What’s more, my husband the biology major doesn’t share my enthusiasm for The Bard. The Shakespeare Tavern Playhouse, which has been in its current location since 1990, was built to encourage an active actor/audience dynamic as would have been common during Elizabethan times. The stage boasts a balcony— a Romeo & Juliet essential!—and multiple levels that are routinely put to good use. “The play’s the thing” (Hamlet): If you’re not interested in seeing a performance, there is literally no reason to come here. You can’t just eat and run—well, technically you could, but since admission requires the cost of a theater ticket, you may as well stay for the play or go eat somewhere else. 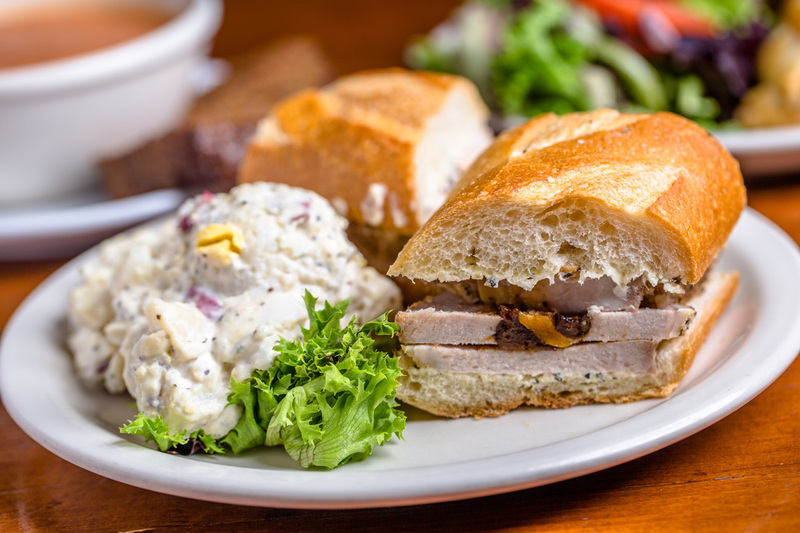 The King’s Supper Sandwich, served on a baguette, is loaded with roasted pork loin, apricots, prunes and rosemary butter. 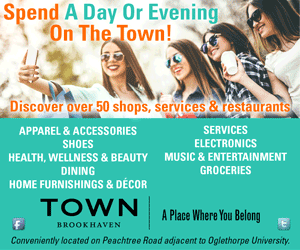 When purchasing tickets, you can choose main floor, box seats or balcony. Upon arrival, you’ll choose a specific table in the purchased selection, which can be motivation to arrive early. Some seats offer a view of the stage with no obstruction, while others don’t. Some chairs are at a table, and others aren’t. You don’t have to eat; food is not included in the ticket price. Service starts 75 minutes before the show begins. It’s ordered cafeteria-line style in a space behind the main floor seating. Menu items are available on a first-come, first-served basis, which is more reason to arrive early. On our first visit, we had decided upon shepherd’s pie and chicken curry, but both were sold out. Our second choices of Cornish pasty and black bean chili were also sold out. We got our third choices, pulled pork sandwiches. The meat was hot, tender and generously packed into a bun that struggled to share the dinner plate with a big side salad of mixed greens and tomatoes. Cole slaw was an optional free extra, a sweet and crunchy sandwich addition. I would have liked more barbecue sauce, which to my palate was a just-right balance of sweet and spicy, but the play was about to start, so I didn’t bother. My husband did manage to find salad dressing packets at a station near the kitchen. 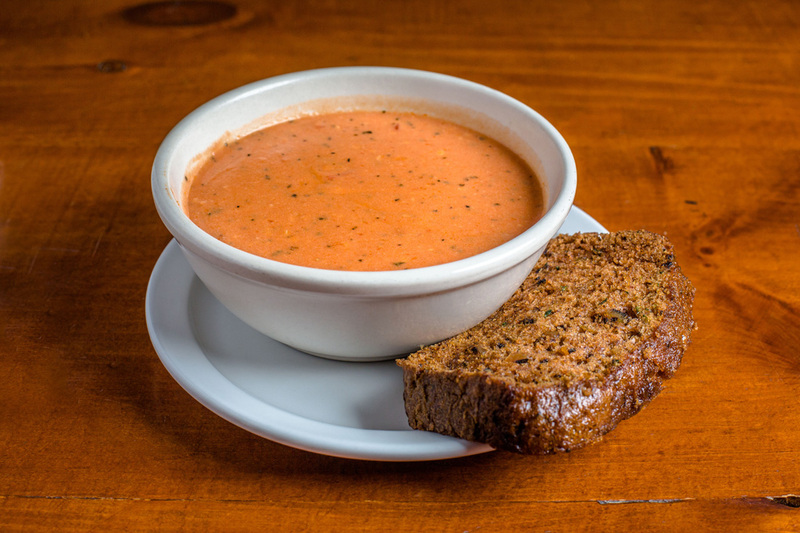 Creamy tomato-basil soup is served with a slice of homemade zucchini bread. Food service ends 10 minutes before show time but opens again during intermission for dessert and beverages. One square of chocolate cake was tender, sweet and big enough to share. 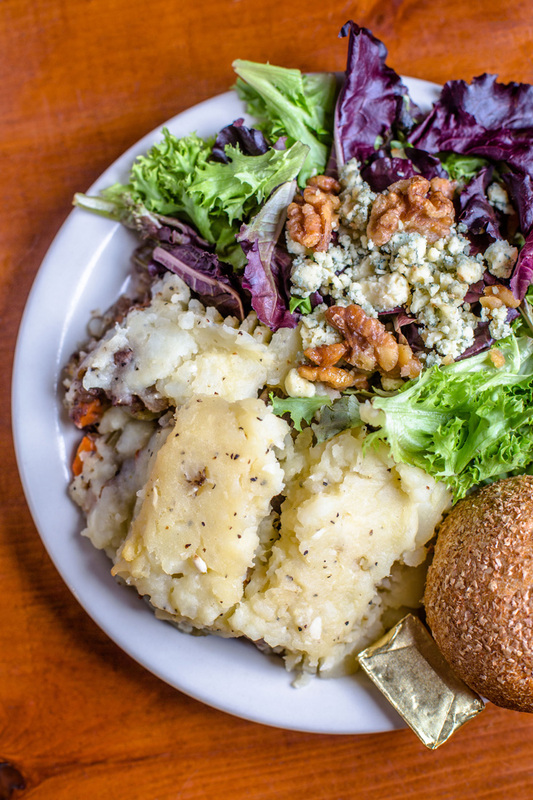 On our second visit, we arrived earlier and got our first-choice entrées of shepherd’s pie and smoked gouda broccoli mac and cheese. The shepherd’s pie was meaty with a hefty, almost overpowering dose of black pepper. The mac and cheese was creamy decadence. Both generous servings were partnered with large lettuce-and-tomato salads. Apple crisp, available during intermission, is the most popular menu item; it looked tempting, but we opted for another round of Guinness. Chef For A Night Catering has been serving the Tavern since 1991 and prepares dishes from scratch using fresh ingredients. As befits the setting, the menu offers authentic British pub favorites. Specific options vary by production, rewarding regulars with variety. About half the menu is consistent year-round, including the popular black bean chili. 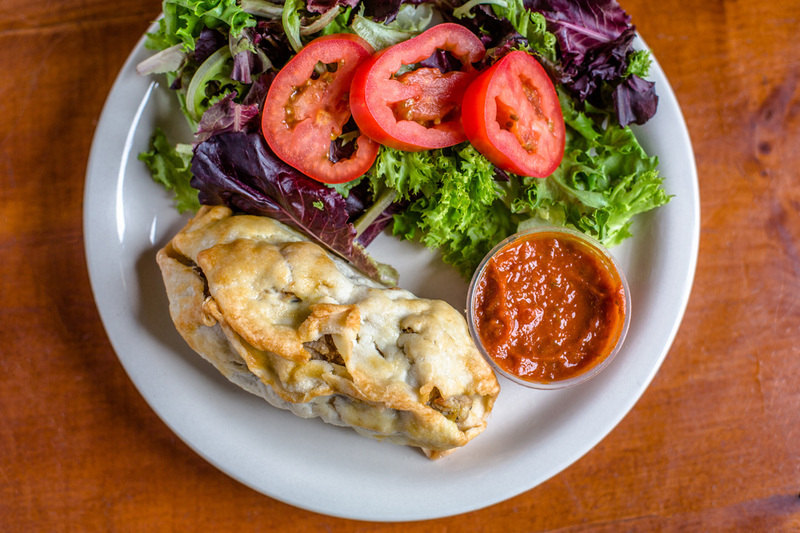 The Cornish pasty—a pastry crust filled with ground beef, shredded potatoes and onions—is served with homemade ketchup. All dishes are familiar, approachable and preparations are straightforward. Food here doesn’t require thought and analysis, which leaves your mind free to focus on the play being acted out in front of you. A selection of beer and wine is also available, and based on a quick scan of the audience, drinks are quite popular: Many couples had bottles of wine and/or pitchers of beer, which leads me to guess that The Shakespeare Tavern Playhouse might be second to Chastain in its ratio of audience members to gallons of alcohol. This makes sense: Alcohol can help make iambic pentameter easier to absorb. Shakespeare need not be intimidating: My husband laughed at all the appropriate parts of A Midsummer Night’s Dream and The Complete Works of William Shakespeare (Abridged). He also cleaned his plate. 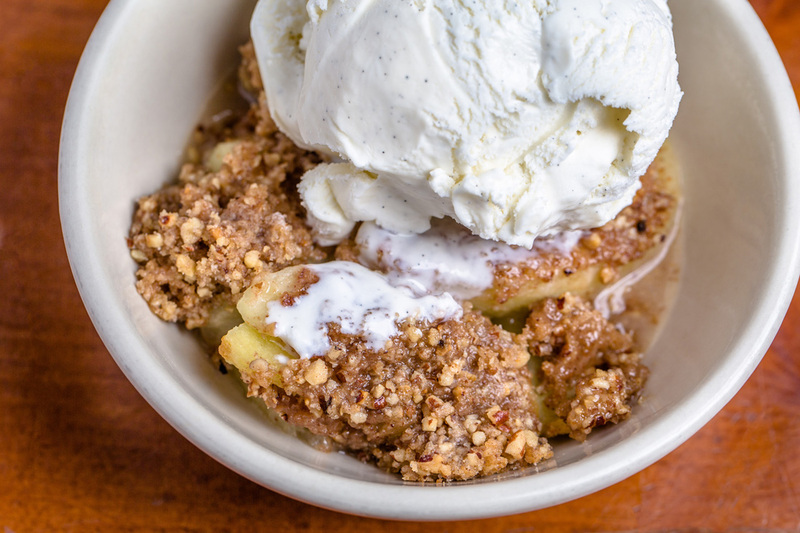 Hot apple pecan crisp is tempered by a scoop of sweet vanilla ice cream. Recommended: Pulled pork sandwich ($12), Mac & Cheese ($10.50), Guinness (16 oz., $5). Bottom Line: Chef For a Night Catering offers competent British pub fare at fair prices. The play’s the thing, but the hearty food is satisfying and alcoholic drinks pair well with the food and play.